N’e Bayus’a CD Release Party! To celebrate our most recent album, we’ll be hosting a release party on Thursday, December 6, beginning at 9:30 pm. Come to this house party [235 Dwight Street] to enjoy live music and refreshments as well as the company of wonderful people. The Slavic Chorus will sing a few songs and we’ll be joined by a few of our great musical friends on and off campus, including the Yale Klezmer Band, the Harris Brothers Band, and Balkan After Midnight (Orkestar BAM). Plus, you’ll be able to get your hands on a copy of the album. 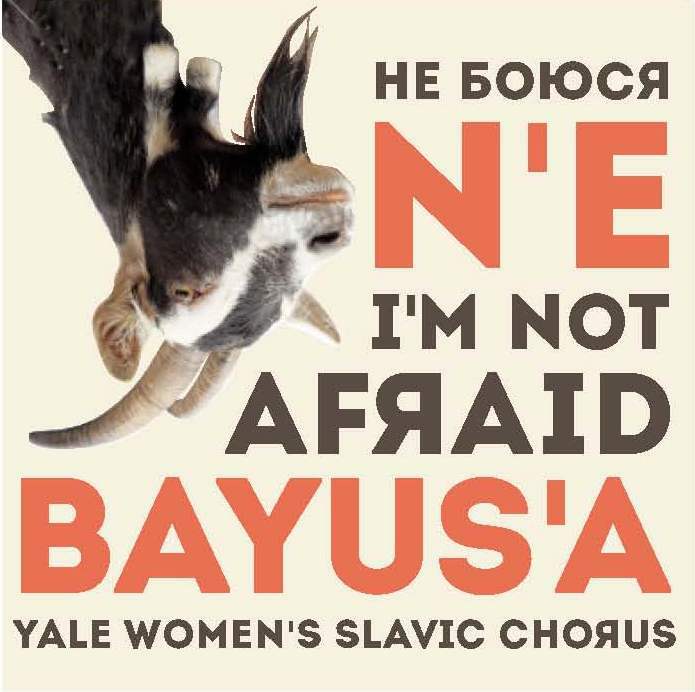 The party is not only your first opportunity to walk away with your personal copy of N’e Bayus’a, and of course a rollicking good time with live music, but also a fundraiser for the Yale Slavic Chorus upcoming international tour to Russia in May-June 2013! We haven’t toured internationally since 2010, and we’re so excited to visit a country from which much of the repertoire we’ve added in the past three years originates. As you might imagine, tours for a group of 20+ singers are expensive, considering lodging, transportation, and visas. As such, we’re asking for a small cover charge to help fund this tour. In case you’re feeling particularly giving that evening, we’ll also have donation jars around. Can’t make it to the release party? Head over to our webstore to order a copy of the CD. Please know that online orders won’t be shipped until December 10. We apologize for any inconvenience caused by this delay. Want to learn more about our newest album? Check out our N’e Bayus’a page!